William Patrick O’Connor was born about 1878. He died on 7 April 1959, aged 81, and was buried in the Catholic section of Botany Cemetery. By 1919 William O’Connor was living in Argyle Street, Millers Point. He was the Secretary of the Sydney Coal Lumpers Union from around 1907 through to c1919. 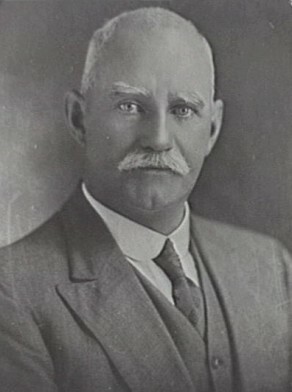 William O’Connor was Alderman for Gipps Ward, 6 September 1907 to 30 November 1909 then from 2 December 1912 to 9 March 1922. He was a member of the Electric Lighting Committee, 1908–09, 1913–20 and its Vice-Chairman in 1919. He was a member of the Works Committee, 1908–09, 1914, and 1919–21, the Health and By-Laws Committee, 1908–09 and 1913–18, the Street Signs Special Committee in 1908 and the City member on the Board of Water Supply and Sewerage, 1917–22. Following his retirement, he was appointed Commissioner for the Sydney Harbour Trust in 1922.